Home Property Is it worth spending $20 million for the North Korean-US Summit? Is it worth spending $20 million for the North Korean-US Summit? Prime Minister Lee Hsien Loong recently announced that Singapore would be spending about $20 million for the North Korean-US Summit of peace. He said that the price was a small one to pay for regional stability. Prominent socio-economic commentator, Dr Patrick Liew, said that from a business perspective, there’s a cascade of benefits for us in hosting the historic Summit. Hosting the Summit in Singapore speaks volume of our image and standing in the global community. Such social capital can be more powerful than economic and other capital to improve and strengthen trade and commerce. As a country without any major natural resources, we have developed farsighted pro-business infrastructures, plans, systems and processes. And we provide effective support and services to entrepreneurs, investors, customers, and other key stakeholders. All these and other strengths can help us attract more foreign direct investments, enterprises and tourists to our country. Through the North Korean-US Summit, we have a good opportunity to showcase our pro-business environment. Our foreign guests will be able to experience first hand some of the advantages that have helped Singapore achieve high rankings in many international benchmarking studies. Singapore was chosen to host the Summit not just because we serve good kopi and teh tarik. We are known to be credible, trustworthy and principled brokers, and we are discreet in our dealings. In addition, we have built a healthy relationship with both the US and DPRK. We have also built positive bilateral and multilateral relationships, and signed free trade agreements with many countries. Our image and initiatives can help entrepreneurs and investors better connect, collaborate, and co-create solutions in an increasingly interconnected and interdependent world. In doing so, we can position Singapore as a hub and spoke, and router and connector for global trade and commerce. We can rise beyond our physical and other limitations and turn the world into our hinterland and marketplace. The choice of Singapore as venue for the Summit is a recognition of our image and track record for being a safe and secure country. Singapore is ranked number 1 for order and security in The World Justice Project’s Rule of Law Index 2017-2018. We are also the world’s safest city according to the 2017 Global Smart City Performance Index. Being recognized as a safe and secure place can help us attract foreign enterprises, entrepreneurs, investors, and visitors to live, work, learn, and have fun in Singapore. Dr Liew asked Singaporeans to do whatever we can to make the Summit a rousing success and to help our foreign guests enjoy a great and memorable time here. The North Korean-US Summit in Singapore is also expected to increase the ever-growing flows of capital to pour into Singapore’s real estate market, causing it to reach unprecedented levels. The international spotlight on Singapore from the North Korean-US Summit is good for the country, especially for its efforts to draw in investment dollars in a competitive environment- especially real estate investment dollars. 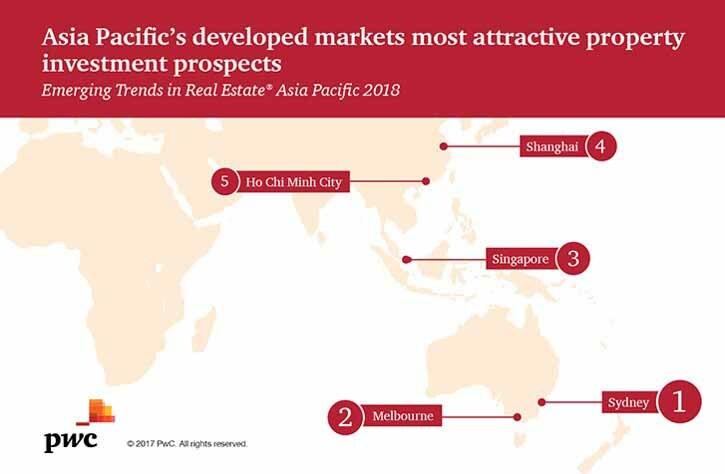 The Emerging Trends in Real Estate Asia Pacific 2018 report jointly published by Urban Land Institute (ULI) and PwC already ranks Singapore in third place this year. The North Korean-US Summit is expected to lend more optimism to investors who are betting in the resurgence of Singapore, believing that the markets here have bottomed after several years of weakness. There are however some concerns in certain quarters that the excess funds flowing into the Republic is invariably distorting the Singapore real estate market. Chinese property developers have in recent times bid aggressively for Government Land Sales (GLS), which ramps up government coffers, but may be bad news for the Singapore property market and home-buyers, as additional costs may be headed their way. There is fear that as land bids go up, so will prices for homes. If you are a real estate investor, our Panel of Property agents and the mortgage consultants at icompareloan.com can help you now.